We transformed an existing 4,500 square foot restaurant with a full interior remodel and designed a new outdoor dining patio that used to be a driveway and dilapidated parking area. 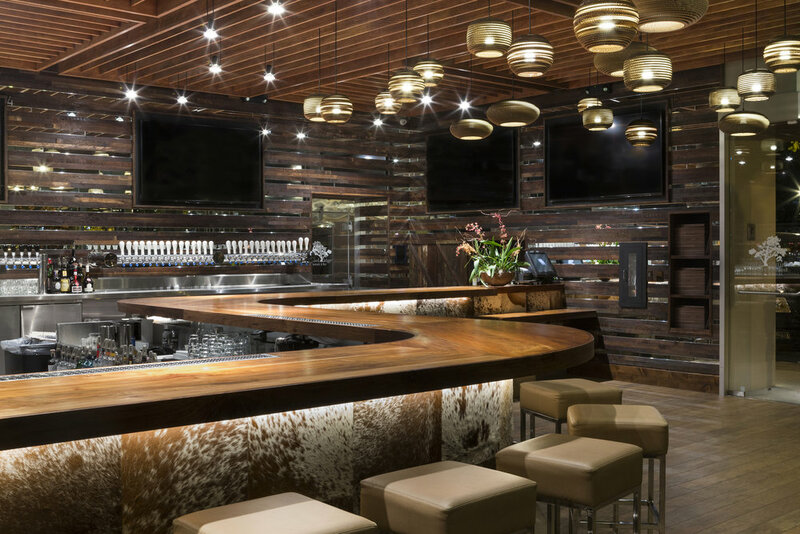 Sunol Ridge Restaurant and Bar is a high end gastro-pub with a comfortable menu designed around the extensive craft beer offerings. The interior design takes its cues from the owner’s ranch in Sunol, CA. Reclaimed barn wood from one of his ranch buildings is used extensively in the bar and private dining room in back. The new dining patio features a gas fire pit, cascading water feature, tivoli lights and 12ft tall woven steel screen walls to cover up the neighboring concrete block buildings.